Cynthia Taylor, 37, of Gap, Lancaster County. 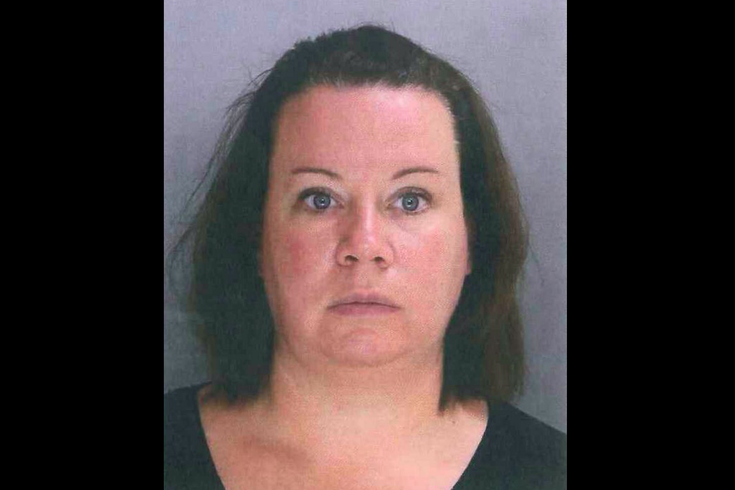 A Lancaster County woman is facing embezzlement charges after she allegedly stole approximately $330,000 from a Chester County manufacturing company, prosecutors said Thursday. Cynthia Taylor, 37, was arrested following an investigation into accounting discrepancies discovered by the Ballymore Company, a Sadsbury-based business that makes rolling safety ladders found in big-box stores around the country. Authorities said Taylor was employed as an account manager at Ballymore for seven years. She reported directly to the company president and was responsible for managing the employee expenses account with American Express. Taylor and numerous other employees held business credit cards with American Express. Her responsibilities included reconciling employee expenditures and coding them into Ballymore's internal records. In October 2017, an internal audit revealed glaring discrepancies between American Express statements and internal records. As part of the investigation later reported to law enforcement, Ballymore discovered that Taylor allegedly began using her American Express card for personal expenses, which she then covered up in company records as business expenses, prosecutors said. In December 2015, for instance, Taylor allegedly used the company card to spend $163.21 at GameStop. In the records, she coded it as a business purchase from Amazon Market. Ballymore discovered that Taylor allegedly used this strategy 2,443 times from January 2013 until she was terminated in November 2017. Sadbury Township police and Chester County detectives determined that $331,563 had been stolen from Ballymore during that time period. Taylor's card was allegedly used to shop at stores including Coach, Ralph Lauren, Vera Bradley, Kay Jewelers and Michael Kors. Taylor is charged with felony theft and access device fraud. "Ballymore Company discovered this theft through internal auditing and an internal investigation," Chester County District Attorney Tom Hogan said. "It is an unfortunate reminder that all businesses are vulnerable to insiders who abuse their position of trust. That is why businesses, big and small, need to have internal safeguards and always keep an eye on people managing the finances."